A year or two ago, Marvel decided to compete with DC’s reboot. After all, sales increased for quite a while. But instead of rebooting the entire universe, they figured they’d reset all the titles back to number one and switch up all the writers/artists. Continuity remained the same, but now all their superstar writers got to tell stories using characters they may not have written before. 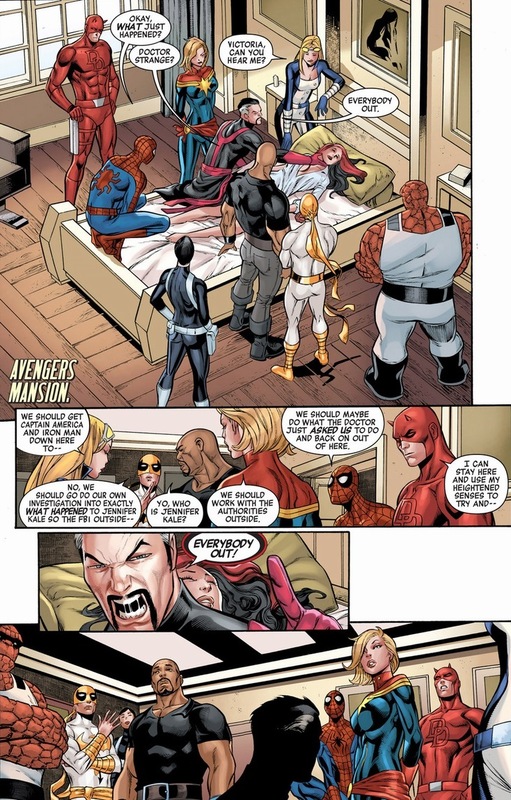 So, as the Marvel world winded down, the New Avengers team (a different group than the Avengers) slowly broke apart. 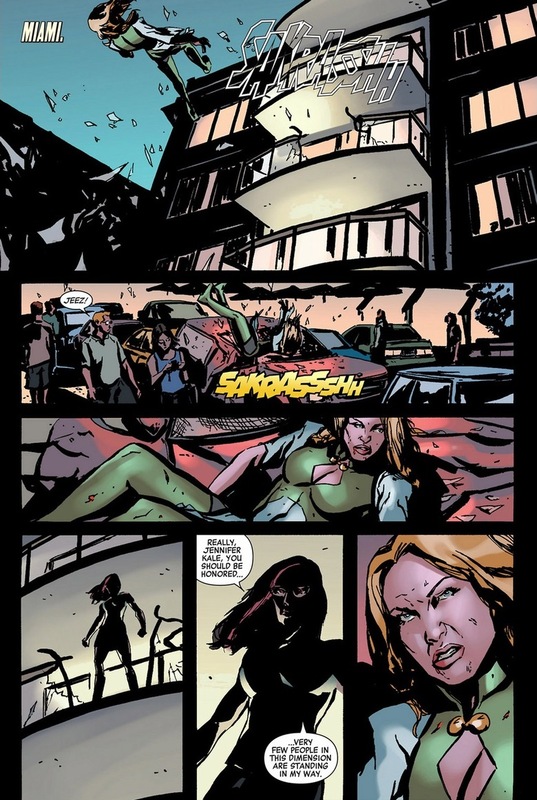 Their leader Luke Cage, sick of seeing his newborn child and wife put in constant danger, decided to leave the group. Ask the Fantastic Four — raising a child as a Marvel superhero may be one of the hardest activities after keeping girlfriends alive and holding down a steady job. 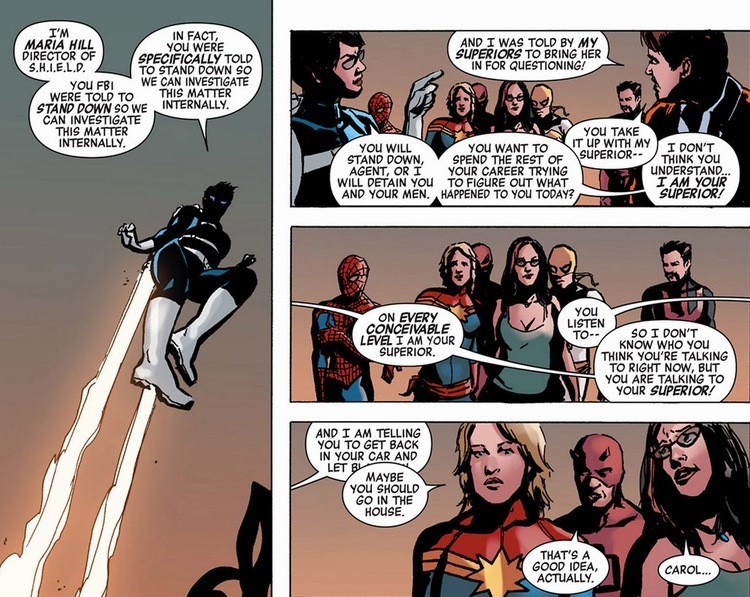 But before the series comes to an end, one final story gets to be told in New Avengers #31-34, written by Brian Michael Bendis and drawn by Michael Gaydos, Carlos Pacheco, Michael Avon Oeming, and Mike Deodato — each artist drawing a single issue. First up, Daimon Hellstorm (actual son of Satan) receives an unexpected visitor. Daimon doesn’t wear shirts. That’s his entire costume. 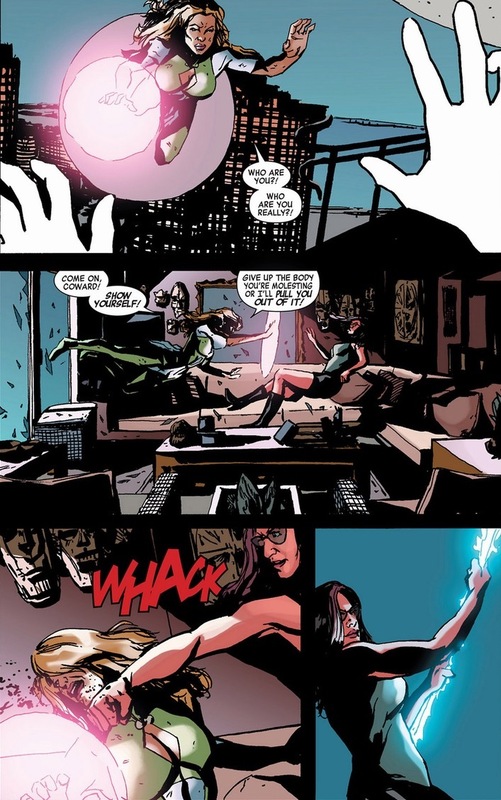 And Victoria Hand, the former right hand of Norman Osborn, now helps out the Avengers as redemption for basically being the Pepper Potts for the Green Goblin. Turns out, some magical anomalies are afoot. Yes, something weird is going on. Especially when Hand continues her magician rampage. Notice what Kale said? Someone’s controlling Hand. How sad. While a possessed secretary pummels sorcerers, we cut to Doctor Strange at the Avengers mansion. 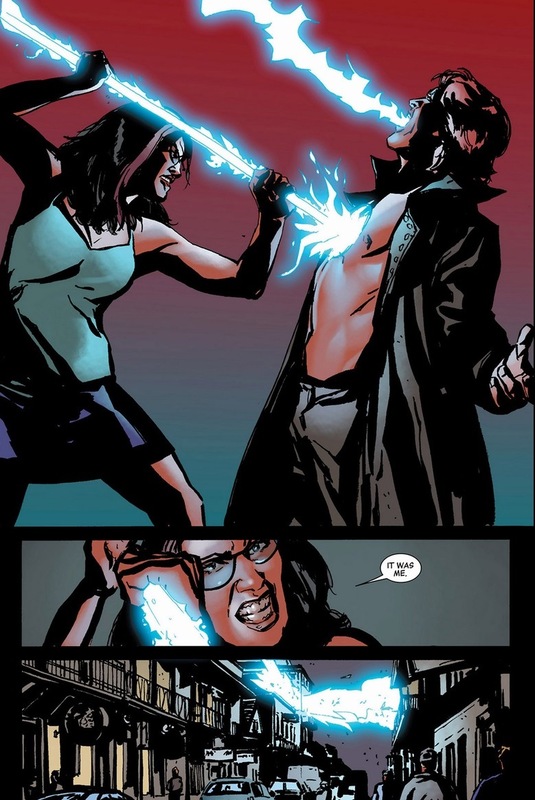 Not all Avengers business includes zapping bad guys (though to be fair, most of it is). 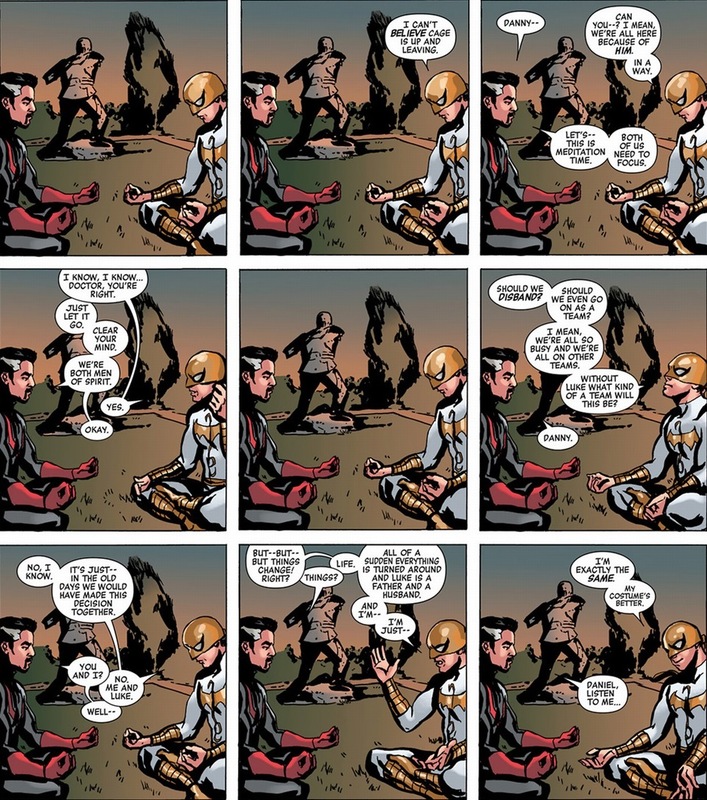 Before their leader departs the team (roster of Cage, Captain Marvel, Thing, Iron Fist, Spider-Man, Wolverine, Doctor Strange, Mockingbird, Jessica Jones, Daredevil, and Victoria Hand), everything has to go wrong. Because that’s how superhero comics work. Now technically, the Avengers operate within the laws of the United States. 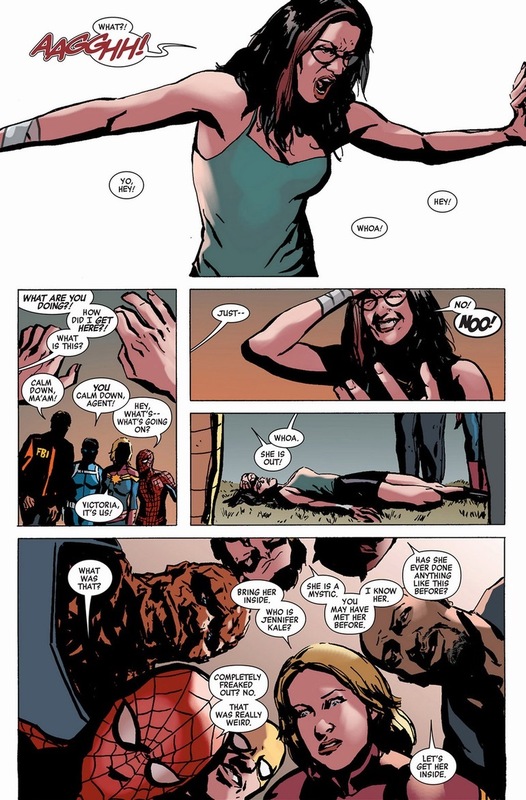 And Maria Hill (who’s pretty much been leading SHIELD in absence of Nick Fury for the past decade or so), has a power far greater than rocky skin and the proportional strength of a spider. She has political power. Anyway, Victoria Hand mystery and whatnot. 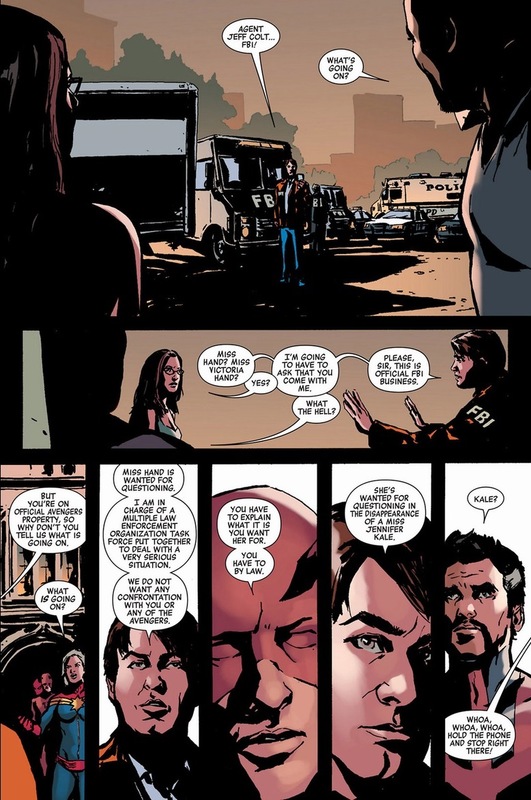 While explosions, tensions, and political drama unfolds back on Earth’s dimension (and I’m skipping those pages), Doctor Strange has to figure out the identity of this possessor: the monster that can jump from body to body without any magical ribbons or bright lights or anything that gives off a clue. But using the best of his detective skills (in those pages I’m skipping), the good doctor solves the mystery. And it’s a doozy. So I figure I have some explaining to do. 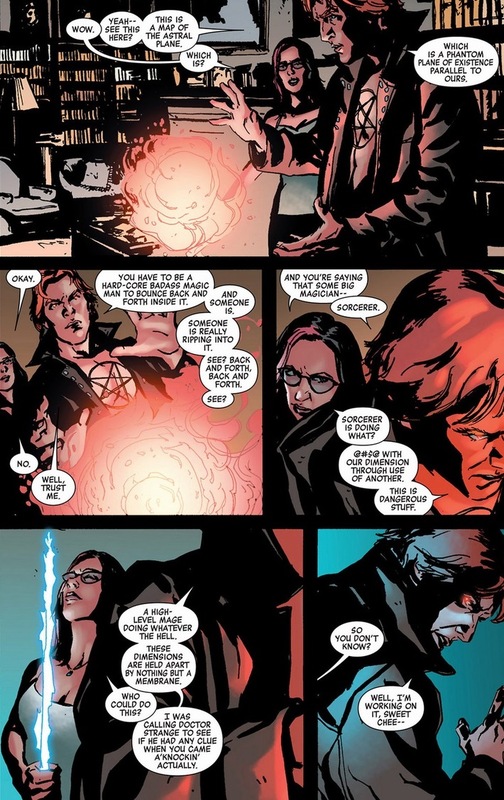 Remember Monday’s post where I mentioned Doctor Strange no longer has the title of Sorcerer Supreme because of dark magic abuse? 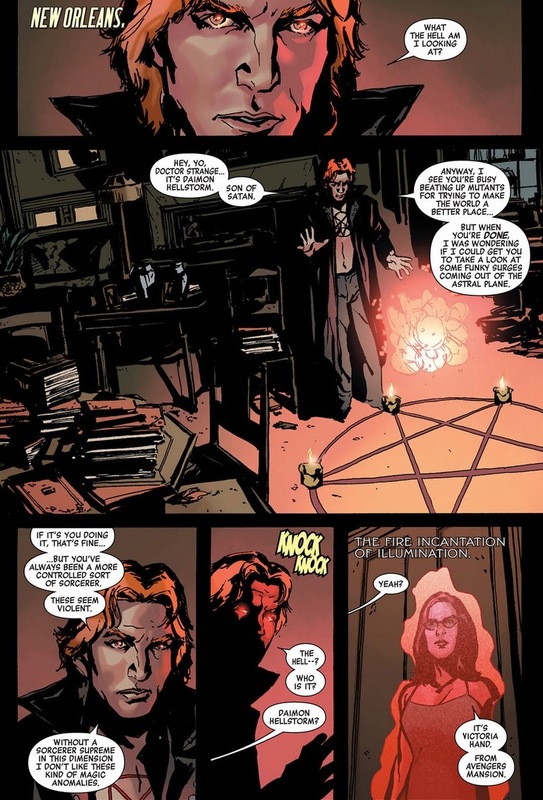 Well, the sorcerer Brother Voodoo (real name Jericho Drumm) became his successor. His brother Daniel’s spirit occupies his body or however that works. Sorcery confuses me. Two years later, Brother Voodoo sacrifices himself to save the universe from the magical heavyweight Agamotto. As you’ve noticed, Daniel isn’t too happy about what happened. Revenge time. What happens next involves a chase between Maria Hill and Doctor Strange that leads to New Orleans and all over weird dimensions. I’m skipping all that, though it’s totally worth your while to read it yourself. As we come to our story’s climax, the action ends up back at Avengers mansion. 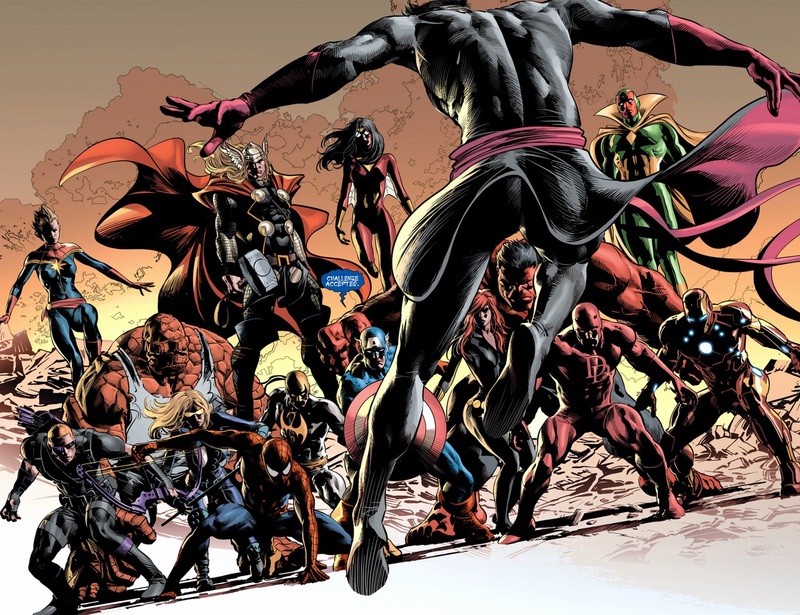 Let’s finish on Friday, where Doctor Strange battles the Avengers and the New Avengers. At once. Fourteen versus one. Aren’t you excited? 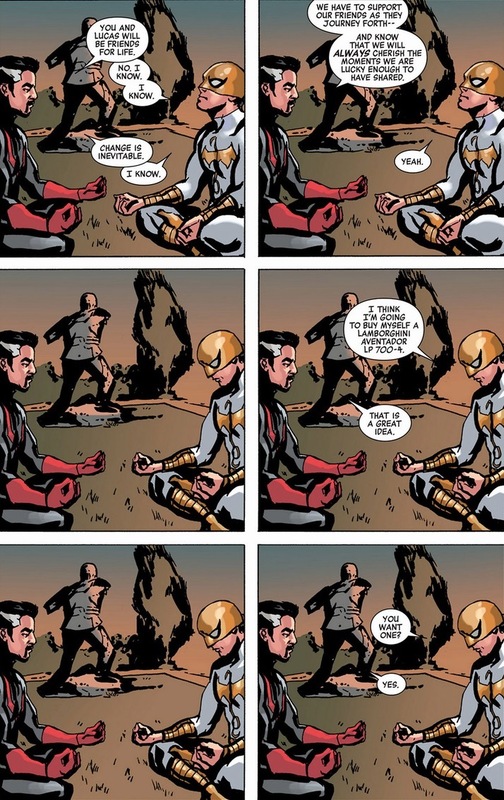 i just have one question what is the extent of Dr.Strange’s power, now that he isn’t sorcerer supreme. Magic’s tricky, right? The best description I’ve ever found, was on this messageboard. I hope that helps! Y’know, this seems like a really interesting plot with some fantastic artwork. 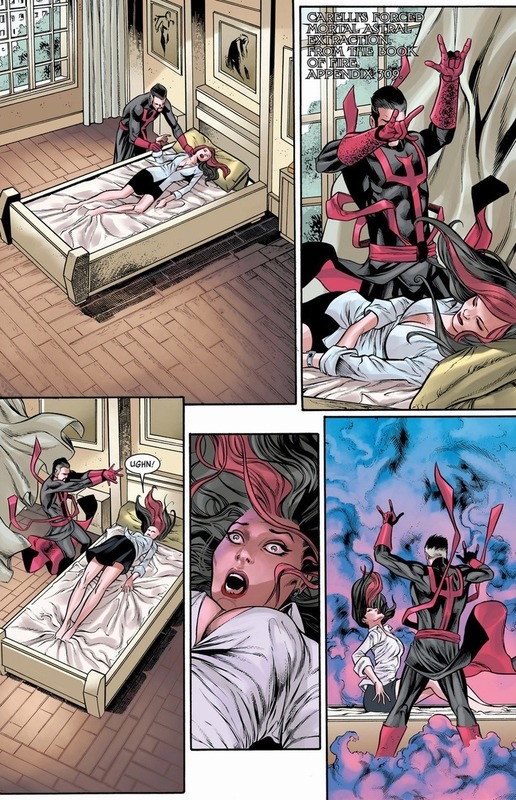 But I am sooooo damn sick & tired of Bendis’ dialogue tics & cadence. I realize he is simultaneously attempting to have his characters be more natural-sounding and humorous. But it absolutely grates on me. It feels so damn forced. It’s like nails on a chalkboard. *Ahem! * Sorry about the tirade. In any case, keep up the good work blogging. That scene with Strange and Iron Fist was solid gold! Love, love, love it!